However much you enjoy wearing your spectacles, do you find there are times when you might like not to wear them? For example when, socialising, shopping, or for outdoor activities such as cycling, gardening, walking, riding, rugby and football. Spectacles can become especially inconvenient when outside in the rain or when participating in any sport or exercise. Improvements are constantly being made to contact lenses which now make them suitable for most individuals, of any age. Contact lenses are available to correct short-sight (myopia), long-sight (hypermetropia) and astigmatism. Multifocal lenses allow contact lenses to be worn to correct presbyopia (reduction in ability to change focus with age), allowing you to see both distance and near. One day disposable designs are convenient as they do away with the cleaning and storage of lenses. 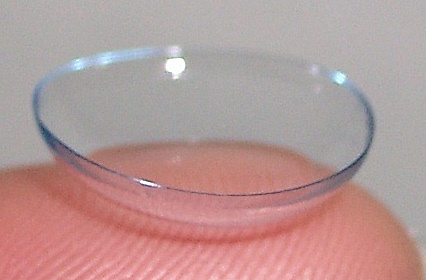 Contact lenses can be worn daily or just for occasional wear. The team of optometrists at D J Dunstone of Queen Street in Hadleigh take pride in finding the right contact lens option for each patient, from many leading brands. Contact lens advice, trial and, if wishing to proceed, fitting is available at extremely affordable prices. You may be surprised with the comfort of modern designs and we are most patient when we teach you how to insert and remove lenses. Please contact us on 01473 823755 to find out more or make an appointment.